The Moscato d'Alessandria, also called Zibibbo (from the Arabic zabīb which means dried grapes) is a grape variety of sweetness and warmth that has always been subject to sweet interpretations as passito but in the last few years some companies, including Donnafugata, decided to create an interesting dry version. 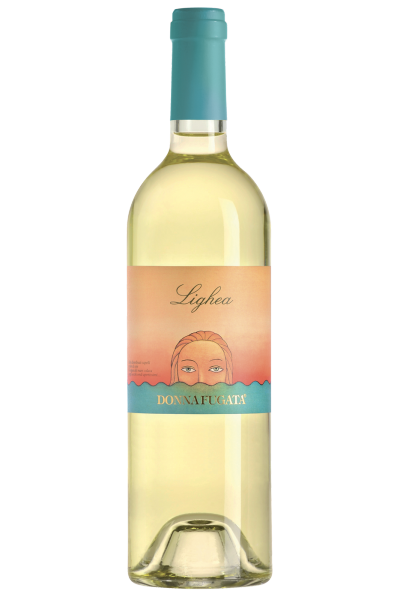 Very pleasant and very drinkable, it reveals an absolutely graceful elegance, which charming and caressing aromas and flavors recall the love encounter between the professor and the siren Lighea of the story of Tomasi di Lampedusa, to whom this wine is dedicated. Decisive and bright straw yellow. On the nose ripe white pulp fruit, pineapple, candied citrus fruit, white rose, orange blossom, ginger and marine notes. Soft and velvety to the taste, savory and caressing closes with pleasant citrine trail. Perfect on white meats like grilled chicken or with a lemon escalope, with goat cheese with herbs and fried or grilled mushrooms.